NASHVILLE, Tenn. (May 31, 2018) – Universal Lighting Technologies, Inc., a global leader in lighting and a member of the Panasonic Group, recently introduced its PW Series of wirelessly programmable EVERLINE LED drivers for indoor linear lighting applications. The PW Series of programmable LED drivers are available in 20, 30, 55 and 80 Watt power levels. They feature programmable output current and relative 1 percent dimming with optional dim-to-off functionality. Notable programmable features include output current, dimming level, dimming curves and dimming set points. OEM partners can use Universal’s EVERset software and tuning wand to quickly program the drivers, providing greater functionality and flexibility for fixture design-ins. With easy programmability and read back functionality, OEM partners can configure customized lumen levels and dimming curves for their specific customers’ needs. 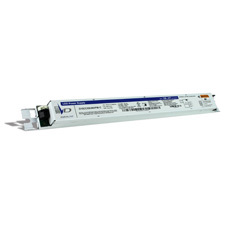 PW Series LED drivers are UL Class P listed and are rated for Class 1 and Class 2 control wiring. For more information on Universal Lighting Technologies, visit www.unvlt.com.